Fayose of Ekiti State, has inaugurated his presidential campaign. The Chairman of the Peoples Democratic Party, PDP, Governors Forum had launched his presidential campaign on his Facebook page. 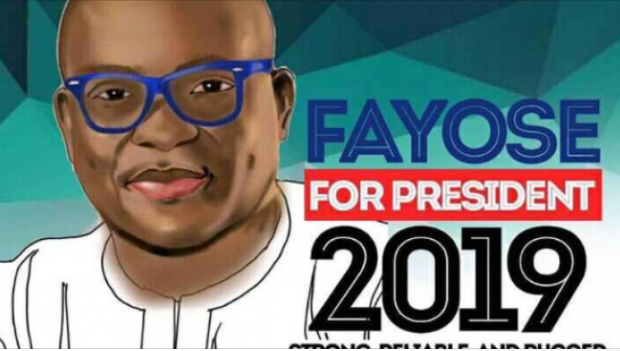 Fayose had on several occasions declared that he would run for the Presidency in 2019. Just last week, the governor declared that he would take over power from the President Muhammadu Buhari-led Federal Government in 2019. The governor had initially said he would approach the Supreme Court to determine his eligibility to contest for the state governorship election due to his inability to complete his first term in office. This follows court’s ruling dismissing his impeachment. Beautiful photos and very interesting. We wish you good luck. This is no longer funny at all. In Nigeria anything can happen in politics. The only thing I personally disapprove of this man is his refusal to pay salary of the civil servants in Ekiti State. That unfortunately provide us with a greater clue of what will happen on a grounder scale when he becomes president of Nigeria. So I seriously doubt he will be the right leader to lead the nation.